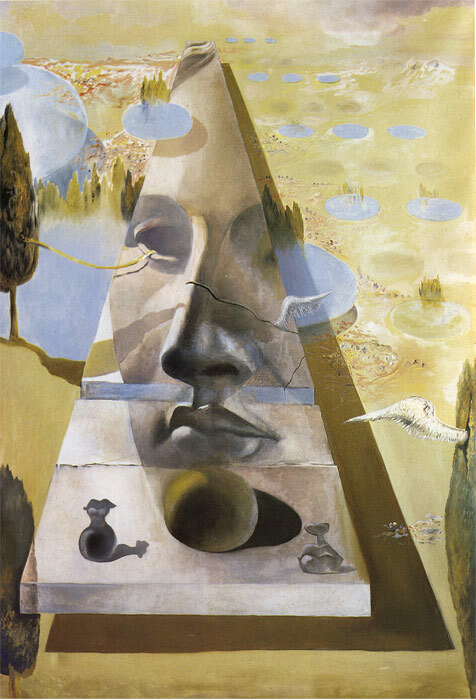 Either you see the face or you do not in this painting of Dali - Vision Of A Face. The matter is not one of debate. There are no preconceptions, no paranoia to influence what you perceive. The careful aquisition of critical paranoia requires continued practice until it becomes a part of your subconscious way of thinking. SPECIAL NOTE : The painter will make the reproduction as close to the original oil painting as possible. If you want your painting to alter from this likeness, please email us and " Vision Of A Face " will be reproduced according to your special requirements.